Dan Grossman has a look at the six things you need to know this Sunday. Weather wise, expect partly cloudy and muggy conditions. Highs will reach the upper 80s. Preparations are underway in South Florida for New Year’s Eve in Downtown Miami and Downtown Fort Lauderdale. There will be lots of activities to ring in the New Year. Admission is free to watch the fireworks at both locations. Remember, police will be out in full force. Remember with tomorrow’s New Year’s Eve festivities, it’s important to note that if you plan on carrying a gun, it’s illegal to shoot it in the air. Police in Doral are asking neighbors in the community to be on the lookout after surveillance video caught two young thieves stealing two cars from a family’s driveway. Anyone with information on this incident is urged to call Miami-Dade Crime Stoppers at 305-471-TIPS. It’s officially week two of the government shutdown. The Smithsonian Museums will officially close on Wednesday, along with the National Zoo. On Thursday, the new Congress will come in and Democrats will take control of the House. The Centers for Disease Control is reporting that the flu is on the rise, including here in Florida. 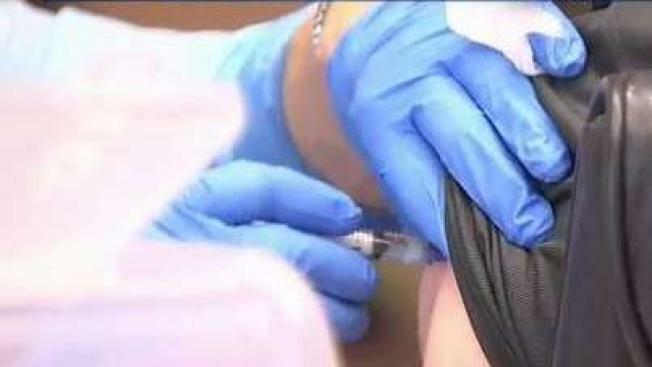 If you or your child haven’t already been vaccinated, officials are urging that people get the shot. Two types of RX Bar protein bars have been recalled due to an undeclared ingredient. The recall affects their chocolate sea salt and coconut chocolate flavors. Anyone who has purchased this product is urged to throw it away or return it for a full refund.